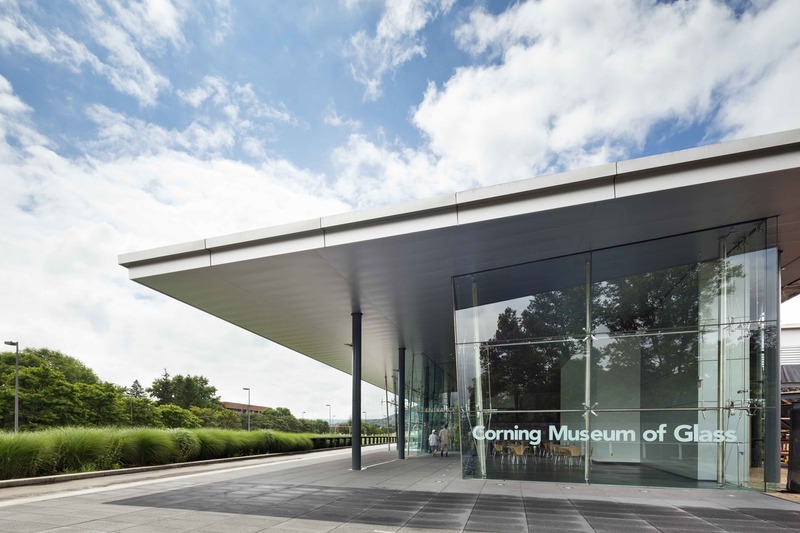 The new Corning Glass Center 2000 master plan and project houses all of the public programs for the Corning Museum of Glass. The Innovation Center accommodates both pedestrian and jitney-borne visitors. It includes a new orientation entry, 770-seat performing arts facility, ground floor retail and digital theater connecting the renovated Glass Museum and Steuben Factory, a 40-seat cafe, and west entry courtyard link.